This page contains examples of vases which were made by Walther in Cloud Glass. 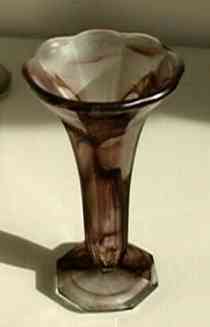 Description: Vase with turned over rim and round base. 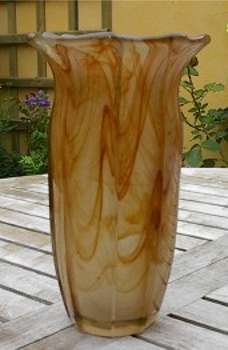 Description: Tall Vase with turned out rim on a foot. 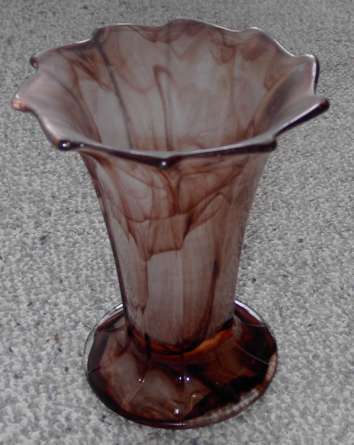 Description: Multi-sided vase with flared rim on a foot. 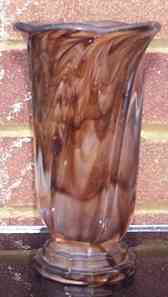 Description: Vase on three feet with a 'stepped' design running vertically. 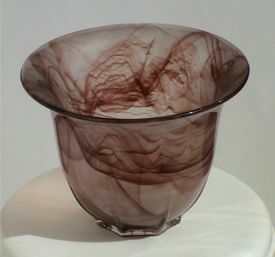 A number of bowls in this pattern were also produced in cloud glass. 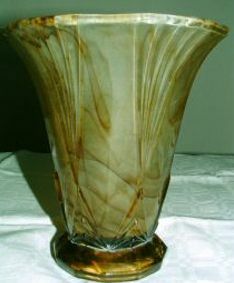 Description: Multi-sided vase with flared rim on flat base. 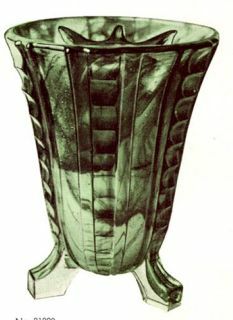 Description: This version of the Kopenhagen vase has a foot and a flared rim. Description: Vase or bowl with turned in rim. This design was produced in three forms: Turned in rim, turned over rim and flared rim. 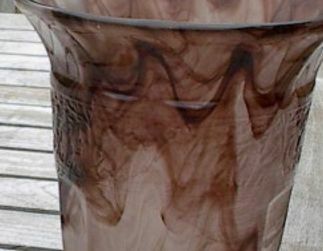 This vase also came with a matching cloud glass base. 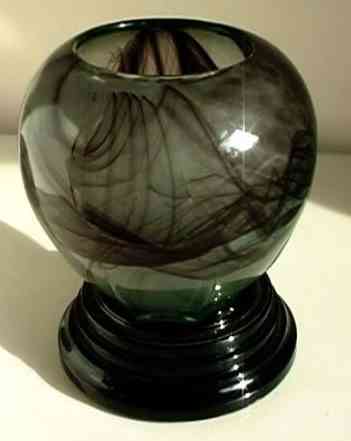 This vase was also sold as the base of a table lamp. 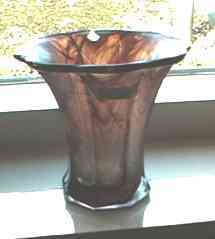 The lamp version of the Lotus vase is one of the few known examples of Walther Amber Cloud Glass. 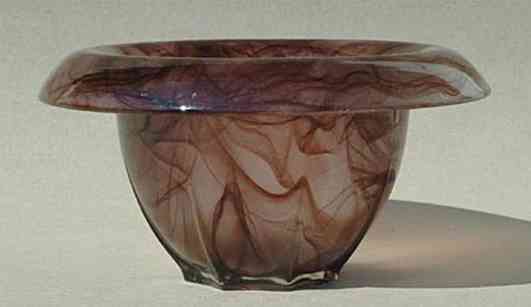 Description: Vase or bowl with turned over rim. Description: Vase or bowl with turned out rim. 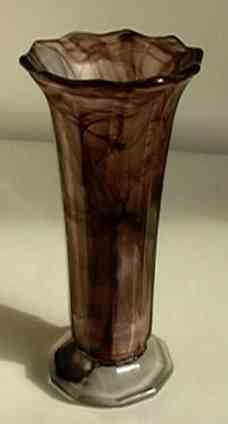 Description: Vase with foot similar to the Rheingold one below. 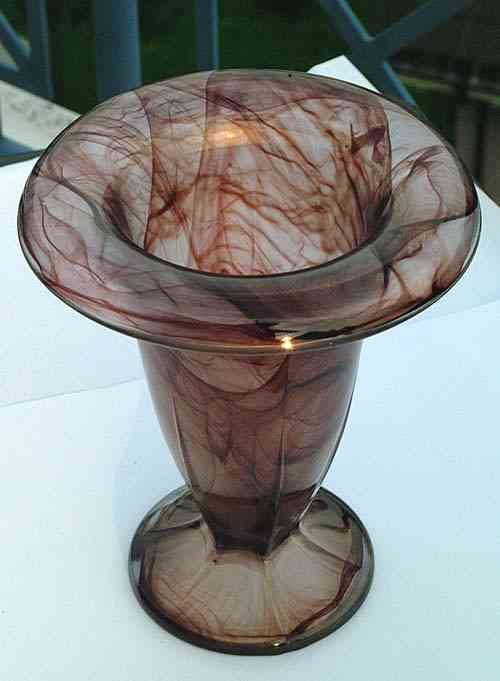 Description: Flared eight sided celery vase. The vase has an impressed star pattern on the base. 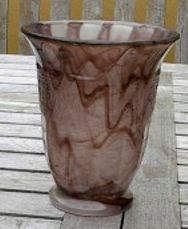 The style of this vase is similar to Davidson's 284 pattern vase. The Davidson vase is not as wide either at the base or the top. 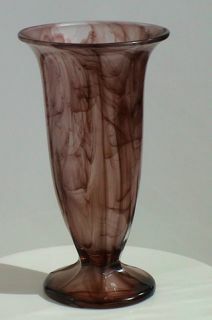 Description: Tall elegant vase with slightly flared rim on a foot. Description: This vase is decorated with a frieze depicting people walking and playing flutes etc under a tree. This vase is normally found in a dark plain colour with the frieze painted in gold. The frieze is very difficult to see in this sepia form.